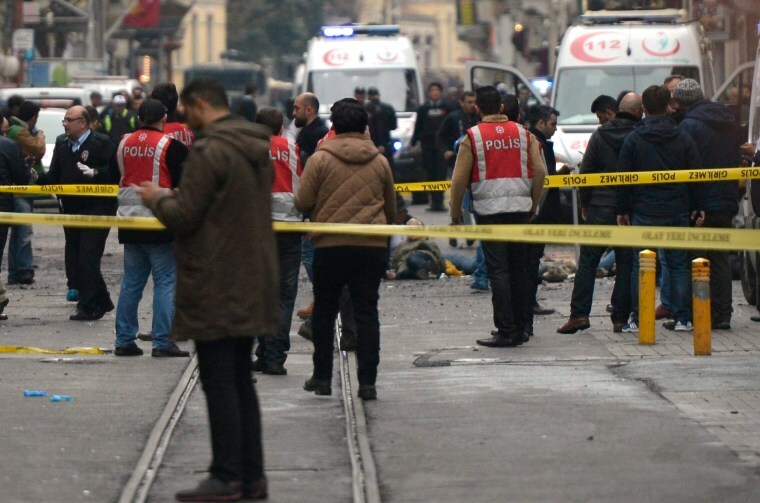 Five people including a suicide bomber were killed in a suspected attack by Kurdish militants in central Istanbul, Turkey on March 19. 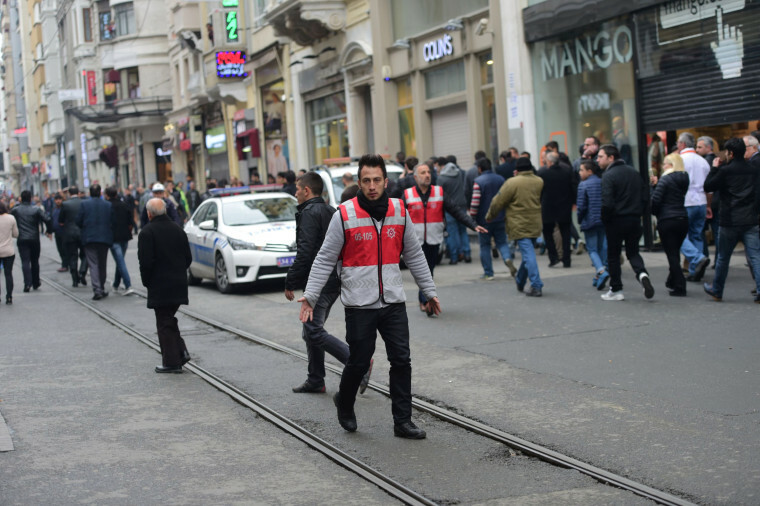 A woman runs away following a suicide bombing in a major shopping and tourist district in central Istanbul on March 19, 2016. Five people were killed and at least 36 were wounded, according to Reuters. 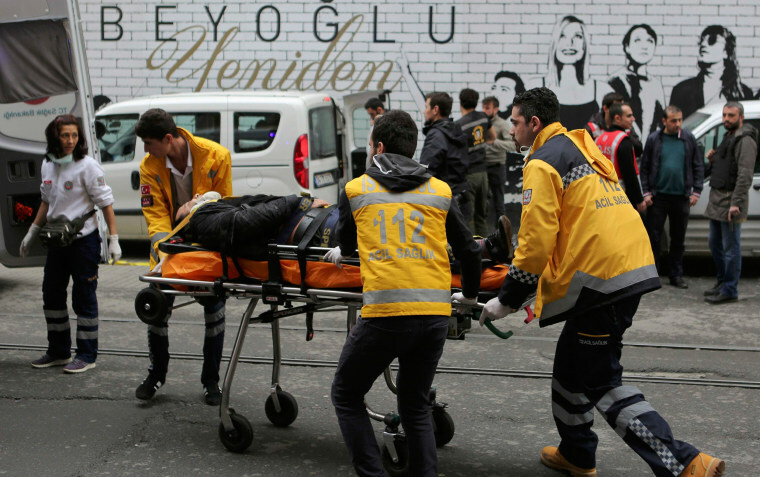 This is the fourth suicide bombing to hit Turkey this year. 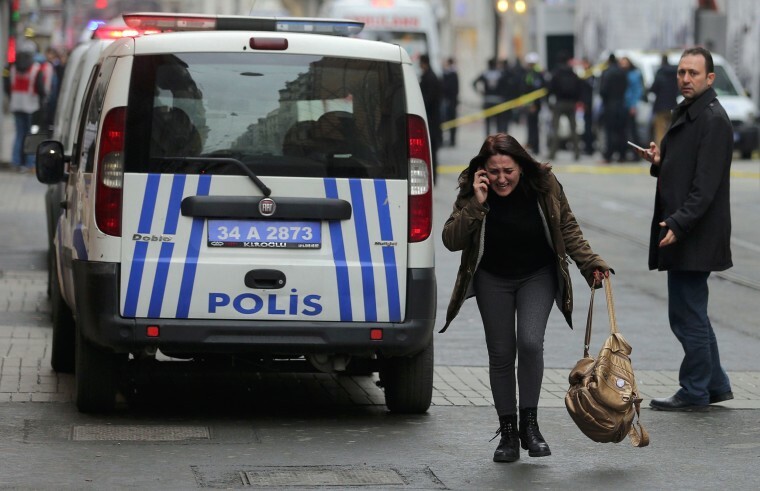 Just about a week ago, a car bomb attack in Ankara killed 34 people and injured 125. 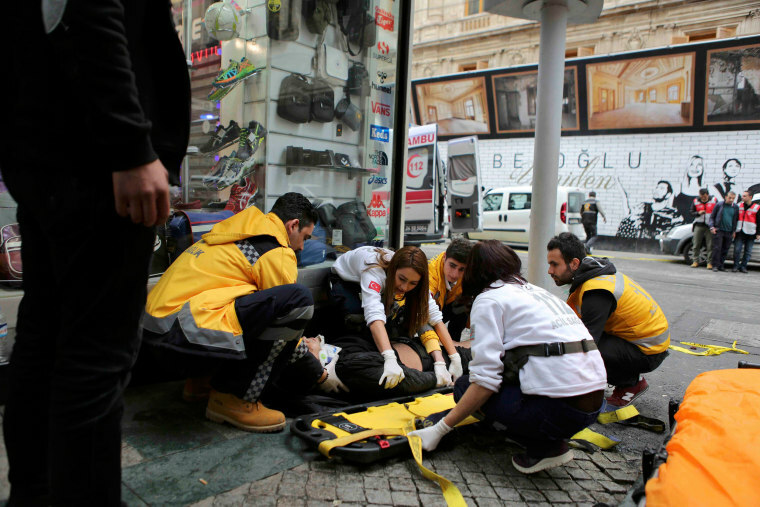 The bombing hit part of Istiklal Avenue, a long pedestrian zone lined with global brand name shops and foreign consulates, and just a few hundred meters from an area where police buses are usually parked. 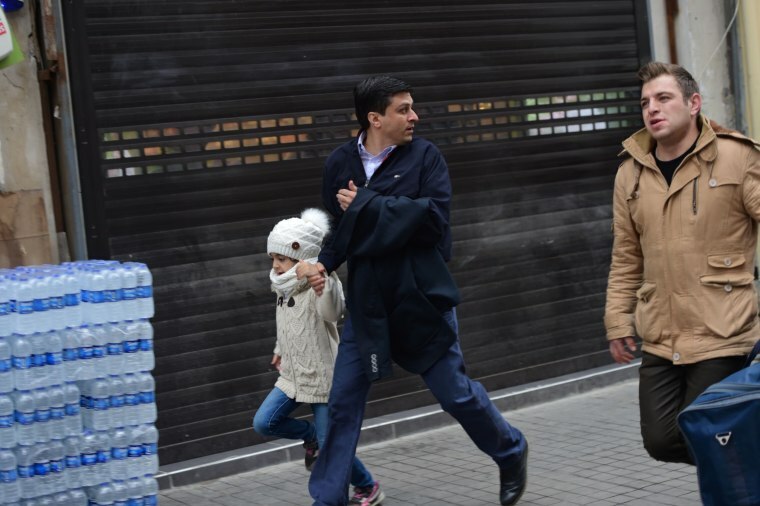 Above, people flee the scene of the bombing on the Istiklal Avenue in Istanbul on March 19. 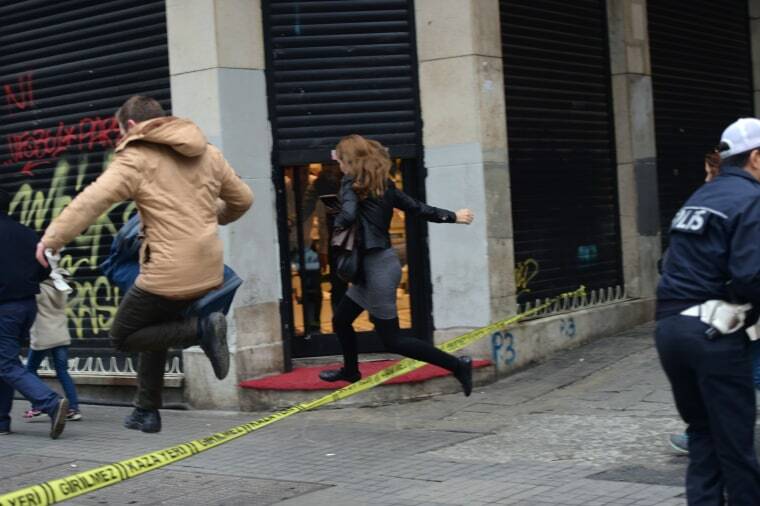 People jump a police line to flee the scene of on the Istiklal Avenue. 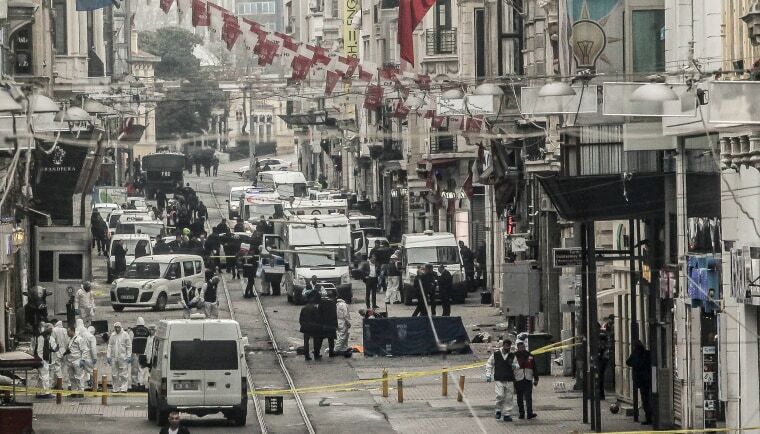 Turkish police push people away at the scene of the bombing. 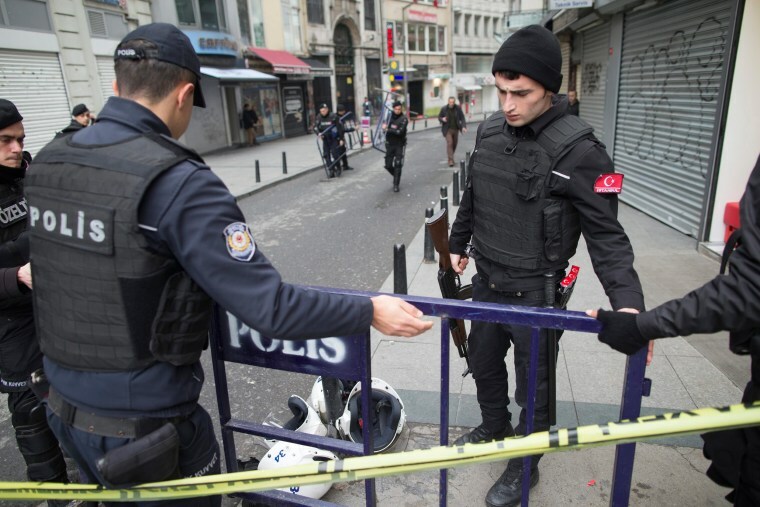 Evidence suggested the attacker was likely from the outlawed Kurdistan Workers Party (PKK) or the Islamic State militant group, two Turkish officials told Reuters. 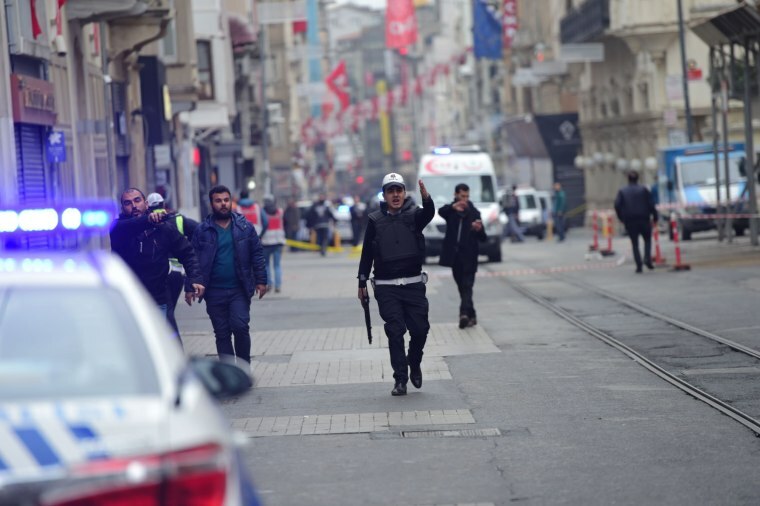 Turkish police officers ask people to leave the scene after the explosion. Police secure the area following the suicide bombing. 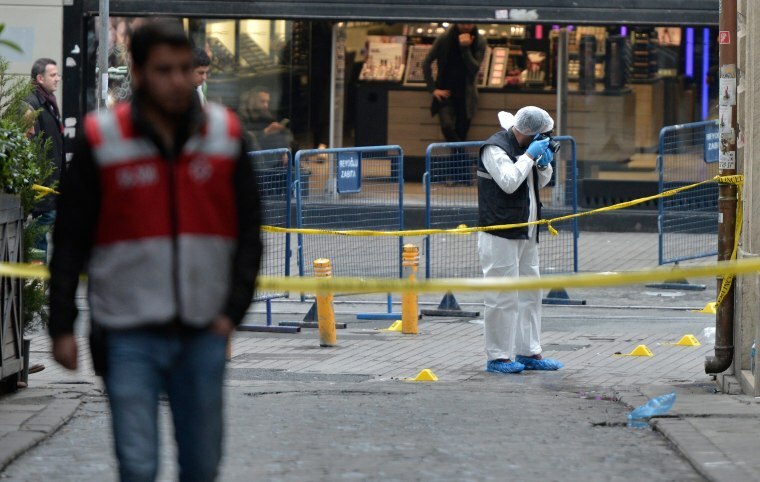 Istiklal Avenue, usually thronged with shoppers at weekends, was quieter than normal before the blast because more people are staying home after a series of deadly bombings that happened this year. Police officers stand in a cordon off area and stop photographers from approaching the bombing scene. 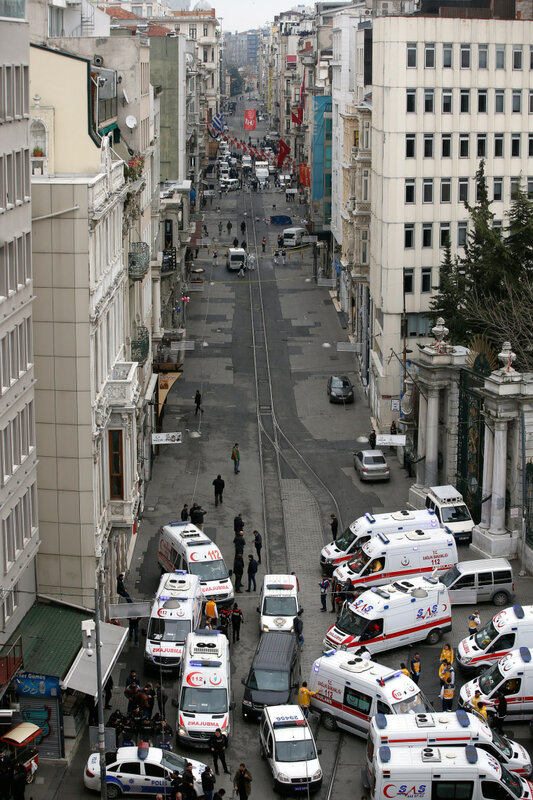 Emergency services arrive at Istiklal Avenue. 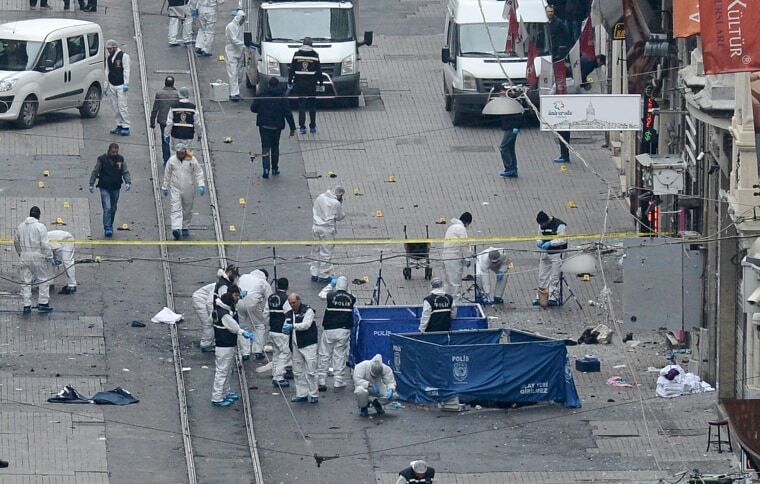 Police and rescue members inspect the suicide bombing scene on the Istiklal Avenue. 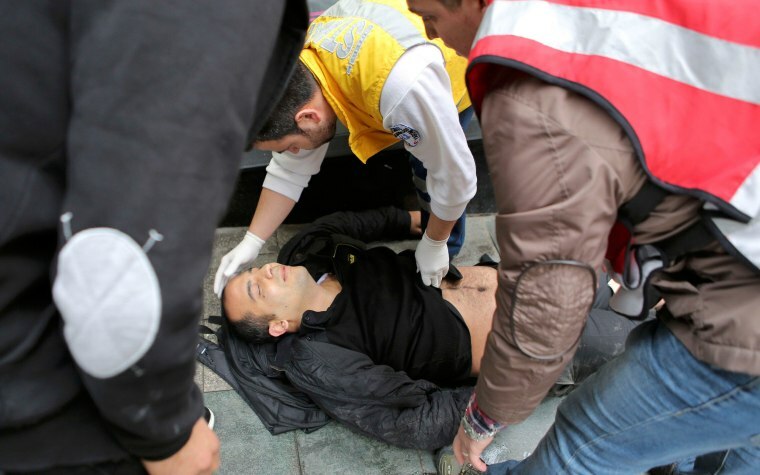 Health Minister Mehmet Muezzinoglu confirmed that seven of the 36 people injured were in serious condition. Twelve of the wounded were foreigners, he said. Emergency service members help a man who got injured in the bombing. Emergency service members rush an injured person to the ambulance. Emergency service members help an injured person at the scene. 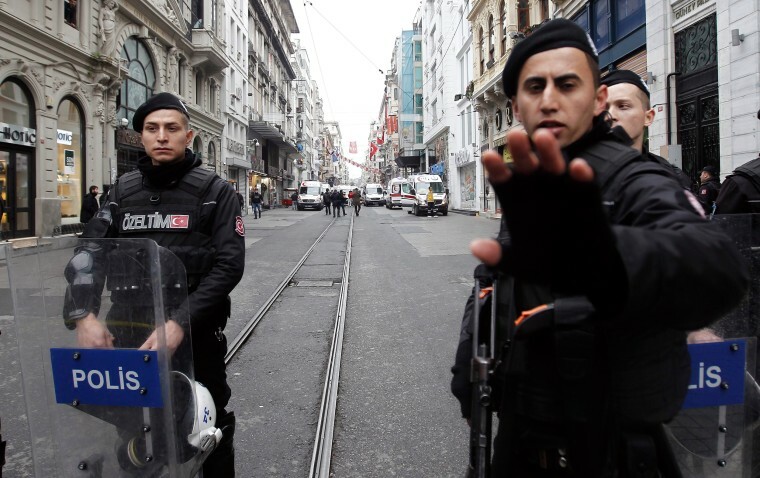 Police officers install fences near Istiklal Avenue. Forensic experts in white suits scour the area for evidence. 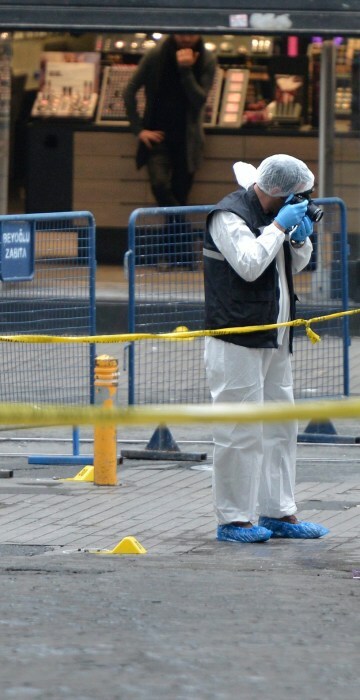 A forensic investigator takes a picture of the scene. Emergency service members and forensic experts inspect the scene. 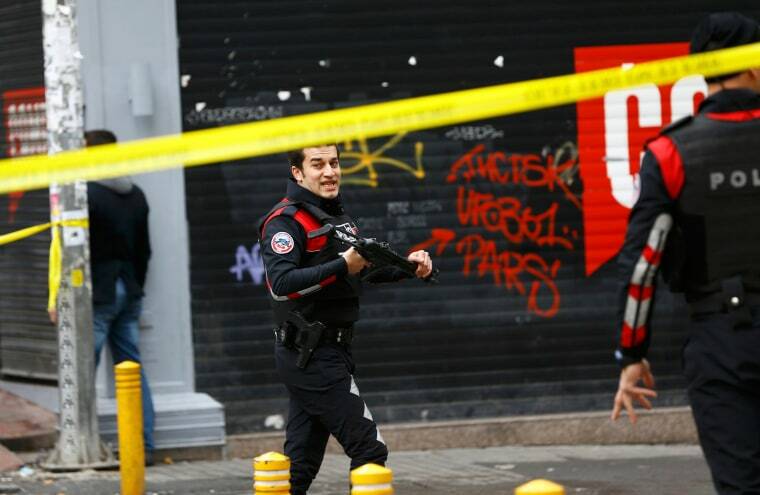 A police officer secures the area following the suicide bombing.